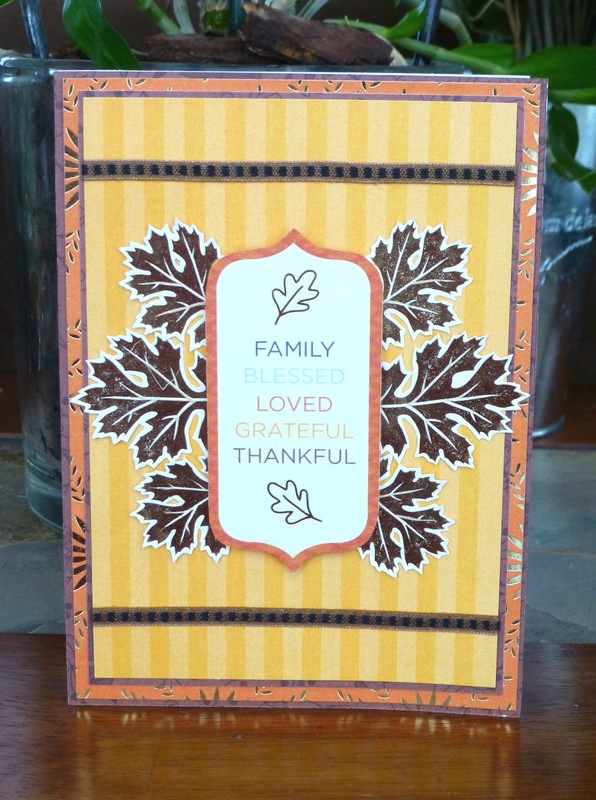 Just a simple card today for the soon to be Thanksgiving ! I use the Harvest house stack by DCWV to create this one, by layering mats, cut leaves and journaling tag. I love the warm colors of this stack and the touch of gold ! In a little bit more than 2 weeks, I will start my 30 days before Christmas... These 3 past years, I did 30 cards, 30 tags and 30 gift card holders from November 25th to December 24th, one for each day before Christmas, followed by a giveaway for those who comment on my blog during this period. I'm back with cards this year, just after Thanksgiving. So I will be very busy creating cards until then (and other creations, don't worry) ! I hope you enjoyed these past Christmas projects and will join me on this blog to discover each of the new one ! And if it's your first Christmas with me, don't forget to come back soon for it (and before for non-Christmas related projects...) !